Action Plumbing and Heating are Gas Safe registered heating engineers who undertake installations of gas boilers, oil boilers and LPG boilers. For similar replacement boiler companies in this area please visit the Belfast boiler page. 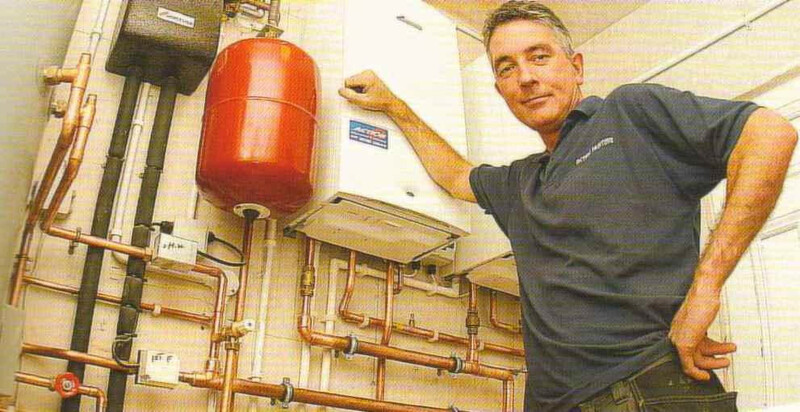 Action Plumbing and Heating is a family run, third generation gas boiler installation and servicing company. We have been installing and servicing boilers for over 30 years and our reputation has been one built on, excellent customer service and flawless craftsmanship. This has been recognised by our achievement of 'Phoenix Natural Gas Domestic Installer of the Year' which we have won twice. 'Action Plumbing and Heating, are our go to guys when we have a boiler issue - simply put, they are the best'. Jane Bell, Belfast. What sets us apart, is our continuous level of communication with our customers, advising them every step up of the way. We let our customers know by text, when we are on our way, contact them after the jobs complete to ensure they are satisfied and notify them the following year when their annual service is due. We have been servicing and installing gas boilers for many years and have come up against it all and our customers know that we will never let them down.